When install CCBoot client, there is an exclamation mark problem on the NIC driver. 1. 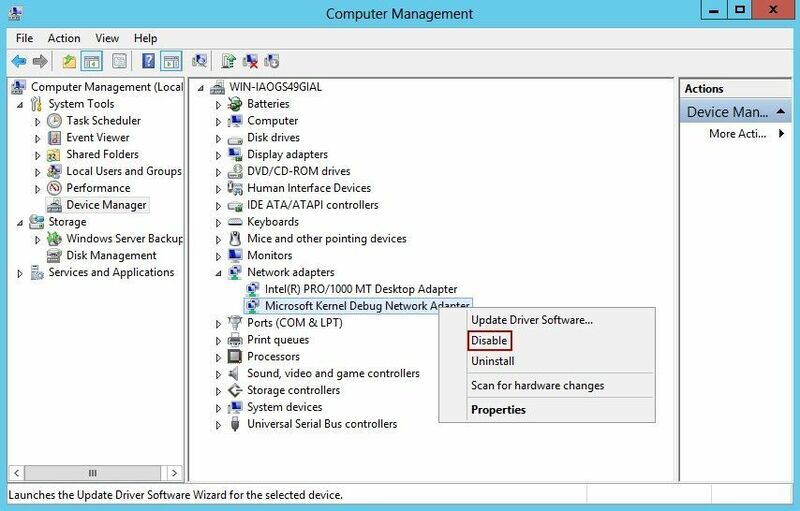 Please check whether there are other NICs, just keep the NIC which is used for diskless boot, and disable other redundant NICs in the Device Manager (Figure 1-1). 2. If the problem is not related to solution 1, when install CCBoot client, in "CCBootPnP" dialog box, please do not click the "Install Known NIC" button (Figure 1-2).